The story of Joe Singleton, a Mosquito night fighter pilot in World War II, who shot down three German Junkers planes over Hull in 1944. His skills finally began to bear fruit when piloting a Mosquito and he took place in several successful missions. But the pinnacle came on the night of 19th March 1944: scrambled to intercept a big German raid on Hull he located and shot down a Junkers 188, then went on to shoot down two more, all in the space of thirteen dramatic minutes. He and his navigator survived the crash-landing that ensued, and he went on to be feted as a national hero. 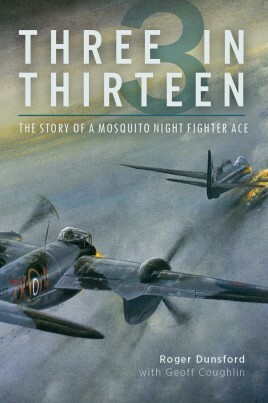 Three in Thirteen is a unique sortie-by-sortie account of his journey from bewildered recruit to celebrated expert, illustrated with extracts from Joe's RAF logbook, and unpublished photographs and illustrations. Roger Dunsford's extensive experience as an RAF pilot brings a vivid immediacy to Joe's experiences combined with astute analysis of the planes, the tactics and the events of that fateful night. Roger Dunsford’s Service career took him from Co-Pilot to Captain to Flight Commander on the last Vulcan Bomber Squadron. He was a Vulcan Display pilot before becoming a Qualified Flying Instructor, CO of Southampton University Air Squadron, an Exchange Officer at the United States Air Force Academy in Colorado, and Wing Commander Air Battle Staff at the RAF’s Air Warfare Centre. In this last post and as a Group Captain he was involved in the planning and rehearsals for the second Gulf War. Geoff Coughlin is the founder and editor of a web-based scale modelling magazine, dedicated to helping scale modellers across the globe develop their skills. He is also author of eight titles on scale modelling and an aviation history enthusiast. 4 Front Line at Last - Where's the Action? "The Second World War made instant heroes of large numbers of pilots during the Battle of Britain - the eventual defeat of the Luftwaffe over the skies of Britain is something that will never be forgotten. But there were other heroes in the making during the later years of the war, and this wonderful book reminds us of just one of them: Roger Dunsford's story of unlikely hero Joe Singleton isn't a rag to riches story, but it tells a dramatic tale of a man finding something he was very good at and then proving it in the most arduous and terrifying manner possible. Inspirational and thoroughly engaging - a true hero's story." 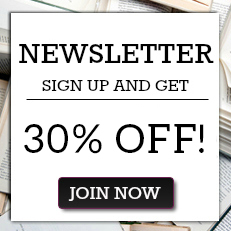 "Incredibly engaging and deeply personal, Three in Thirteen draws the reader into the dangerous world of night fighting over the skies of England. Reading the British point of view, rather than the American, is a fascinating change for the average reader of World War II history."